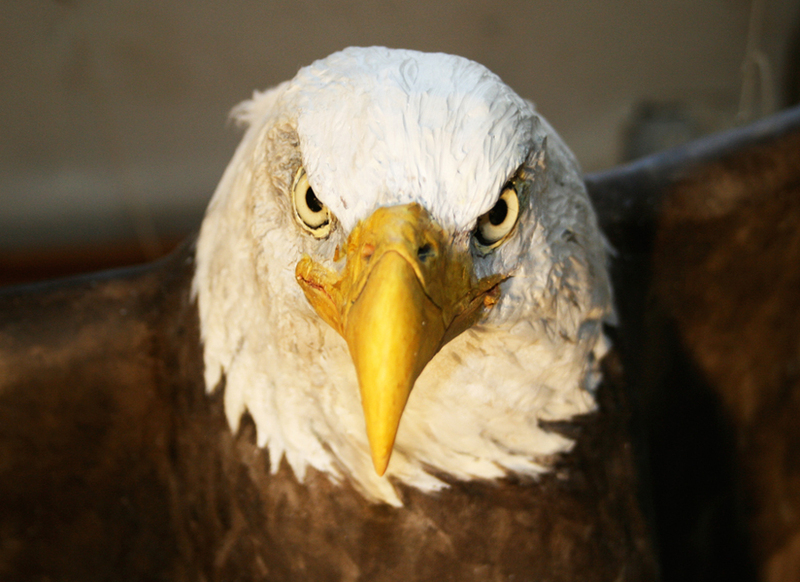 Eagle model shown prior to installation. 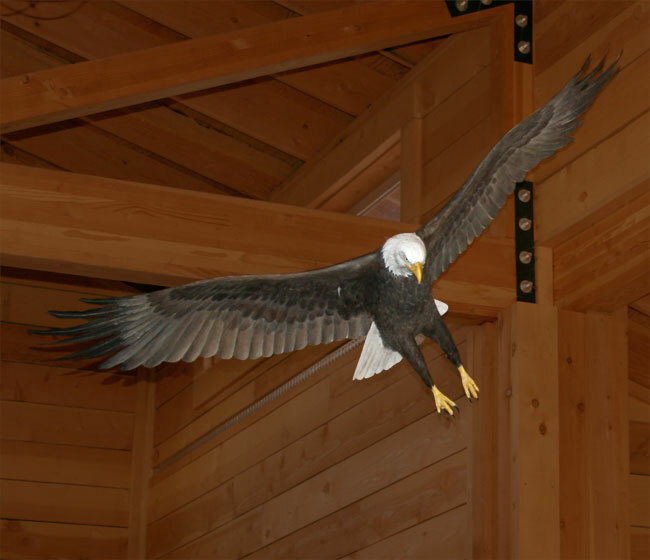 Model as installed at the Harnish Visitor Center. 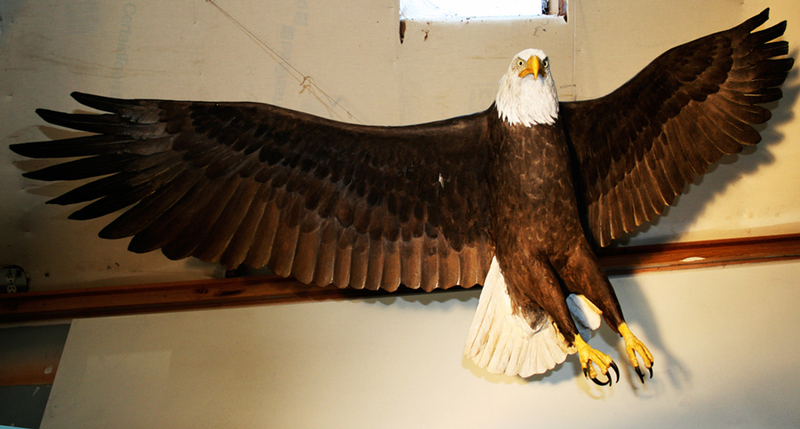 Alumni Exhibits fabricated a full size model of an American Beaver for the Harnish Visitor Center. The beaver works as a key species in an aquatic ecosystem by creating wetlands that are used by many other species. 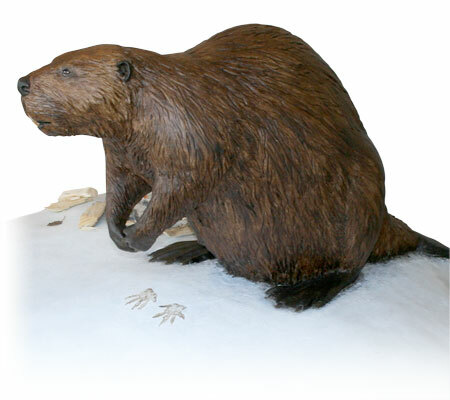 The design of this model includes a photo-op seating area for visitors to have their picture taken with the beaver. 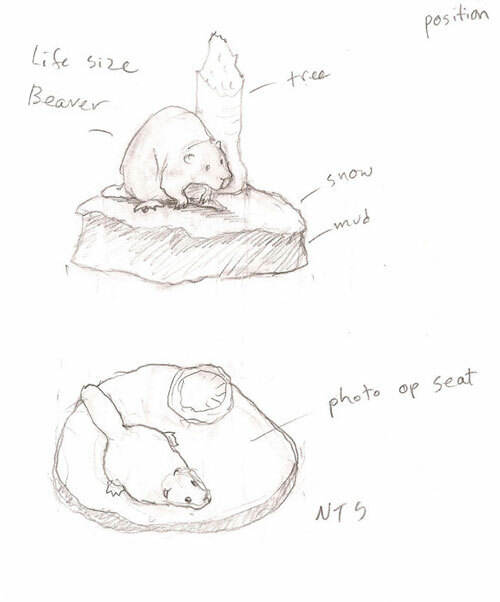 Sketch of beaver model before production. 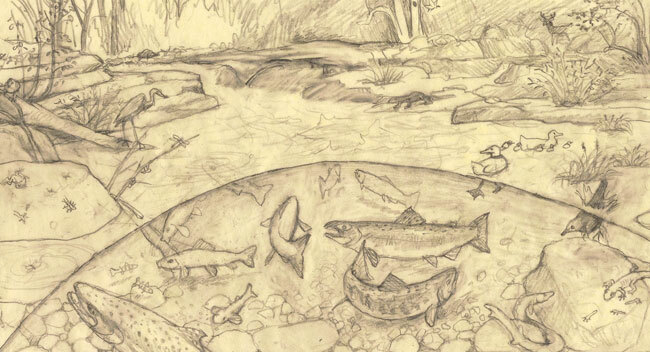 Preliminary sketch during planning stages of mural. 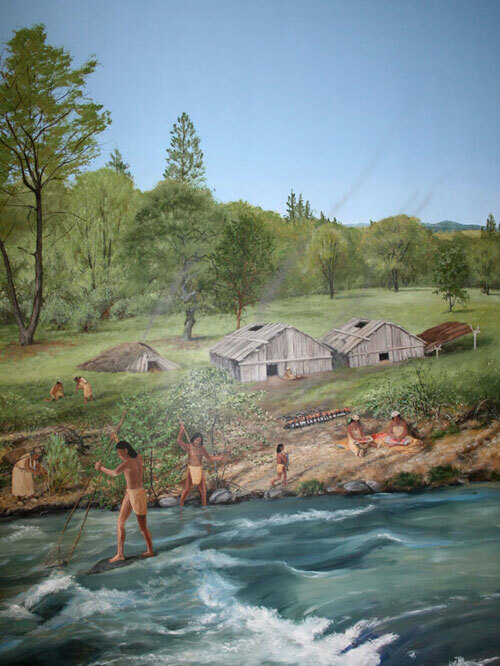 The Takelma were a Native American people that lived in the interior southwest of Oregon. 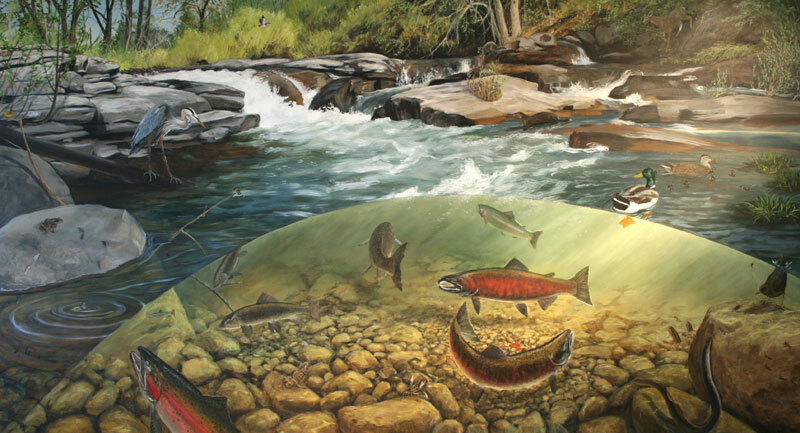 Alumni Exhibits painted this mural for the Harnish Visitor Center depicting the intensive and coordinated labor involved in large-scale capture of Coho salmon with spears by men and their cleaning and drying by women. 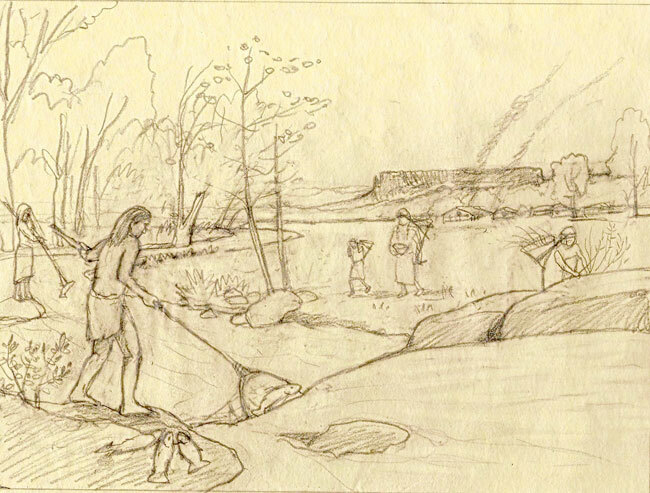 Sketch of mural prior to production. 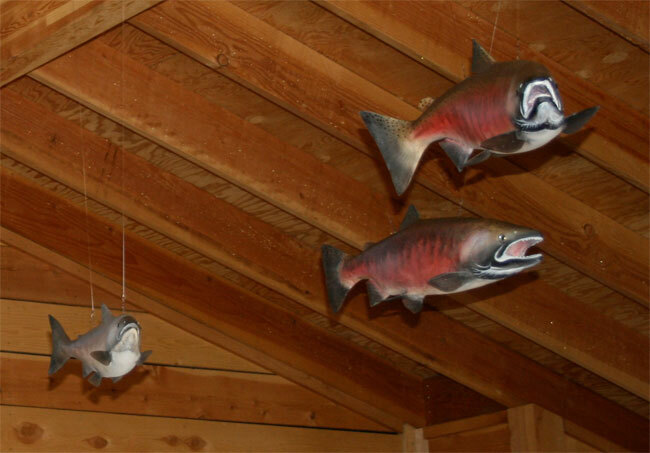 Alumni Exhibits fabricated a school of spawning Coho salmon to hang at the Harnish Visitor Center in Eagle Point, Oregon. 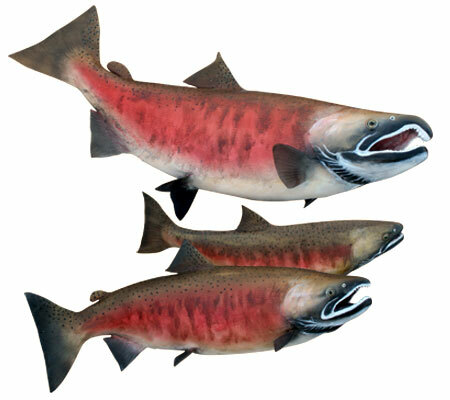 During their spawning phase, the jaws of the Coho salmon become hooked, and they develop bright red sides along with spotted heads and backs. 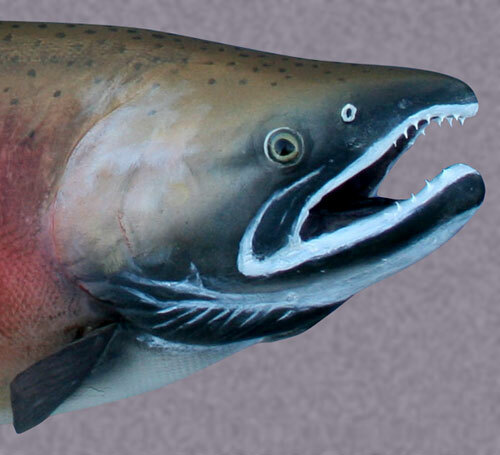 Coho salmon shown within exhibit installation.